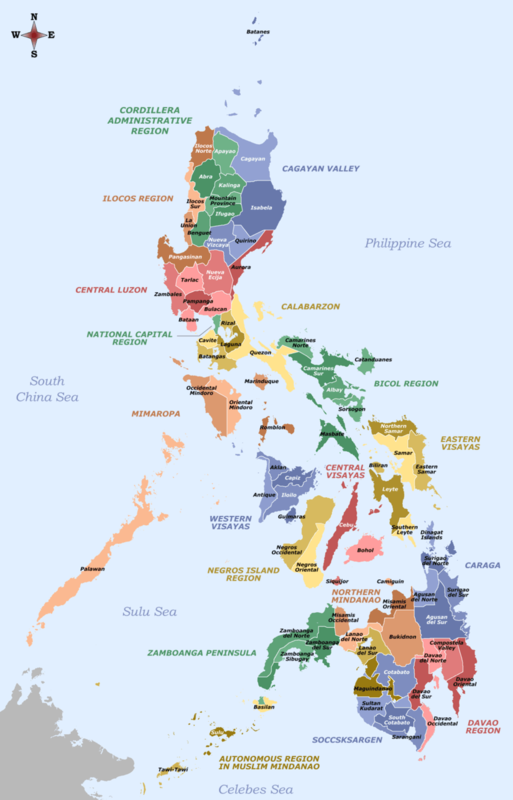 Central Visayas (Filipino: Gitnang Kabisayaan; Cebuano: Tunga-tungang Kabisay-an) is a region of the Philippines, designated as Region VII. 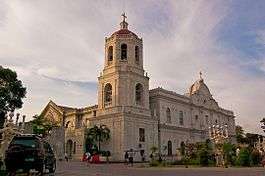 It is located in the central part of the Visayas island group, and consisists of three provinces: Bohol, Cebu and Siquijor; and three highly urbanized cities: Cebu City, Lapu-Lapu, and Mandaue. 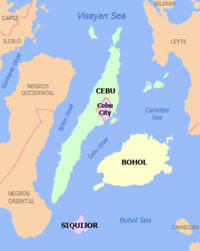 Cebu City is the regional center. The region is dominated by the native speakers of Cebuano. The land area of the region is 10,102 square kilometres (3,900 sq mi), with a population of 6,041,903 people. On May 29, 2015, the region was redefined, when Region VII lost the province of Negros Oriental to the newly formed Negros Island Region. 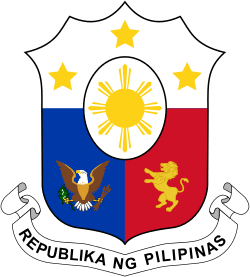 Regions first came to existence in on September 24, 1972, when the provinces of the Philippines were organized into 11 regions by Presidential Decree No. 1 as part of the Integrated Reorganization Plan of President Ferdinand Marcos. By virtue of Executive Order No. 183 issued on May 29, 2015 by President Benigno Aquino III, the province of Negros Oriental was transferred to the Negros Island Region. Data prior to 2015 includes Negros Oriental. In the 2013 election, it had 4,114,046 registered voters, meaning that 68% of the population are aged 18 and over. According to the 2015 census, it had a population of 6,041,903. The population density was 580/km2 (1,500/sq mi). The 2015 census showed an average annual population growth rate of 1.76% from 2010 to 2015, slightly higher than the national average of 1.72%. Cebuano is the dominant language of the region. In the Camotes Islands, Cebuano language is spoken in the towns of Tudela, Pilar and San Francisco, except Poro, where a mixture of Cebuano, Hiligaynon (Ilonggo) and Masbateño is spoken, a language called Porohanon. † Cebu City, Mandaue and Lapu-Lapu are highly urbanized cities, figures are excluded from Cebu province. 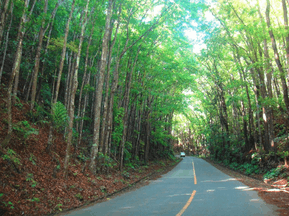 Negros Oriental was formerly a part of Region VII. President Benigno Aquino III signed the Executive Order No.183, creating the Negros Island Region. Cebu City is the main media hub for both the region. Large media networks – ABS-CBN, GMA Network, TV5, People's Television Network and CNN Philippines – maintain their respective local stations and branches for viewership, commercial and news coverage purposes. Most of these stations broadcast local news and public affairs as well as entertainment and dramas to cater the local viewers. Aside from the 24 national daily newspapers available, Cebu City also has 20 local newspapers. Among the widely read are the Sun Star Cebu. The country's main Islamic news journal, The Voice of Islam, was founded in 1961 and published in this city. Magellan's Cross is a Christian cross planted by Portuguese, and Spanish explorers as ordered by Ferdinand Magellan upon arriving in Cebu in the Philippines. 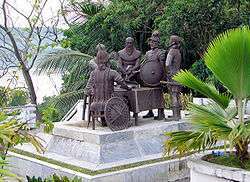 Bohol Blood Compact Statue is the statue portraying the blood compact between the Spanish explorer Miguel López de Legazpi and Datu Sikatuna. The Port of Cebu is the region's main gateway. 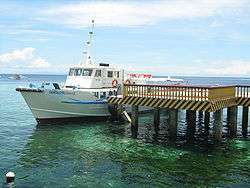 There are also ports in Tagbilaran in Bohol and Larena in Siquijor. Inter-island shipping is served by numerous shipping lines, two of them fastcraft companies which serve all the provinces in the region. 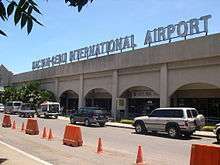 The Mactan-Cebu International Airport, located in Lapu-Lapu City, is the country's second busiest airport (after Ninoy Aquino International Airport in Metro Manila) and the only airport in the Visayas serving international flights (aside from Kalibo International Airport). It is the primary airline hub of Cebu Pacific, and secondary hub for Philippine Airlines and its subsidiaries, with flights to locations throughout the country. It also serves international flights to other Asian and intercontinental destinations. Other airports in the region are Tagbilaran Airport, serves Tagbilaran and Bohol with flights to Manila. 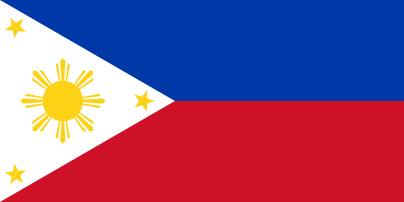 1 2 3 4 5 "Region VII (CENTRAL VISAYAS)". Census of Population (2015): Total Population by Province, City, Municipality and Barangay (Report). PSA. Retrieved 20 June 2016. ↑ "Executive Order No. 183, s. 2015". Official Gazette (Philippines). May 29, 2015. Retrieved June 5, 2015. ↑ Census of Population and Housing (2010): Population and Annual Growth Rates for The Philippines and Its Regions, Provinces, and Highly Urbanized Cities (PDF) (Report). NSO. Retrieved 29 June 2016. ↑ "Region VII (CENTRAL VISAYAS)". Census of Population and Housing (2010): Total Population by Province, City, Municipality and Barangay (Report). NSO. Retrieved 29 June 2016. 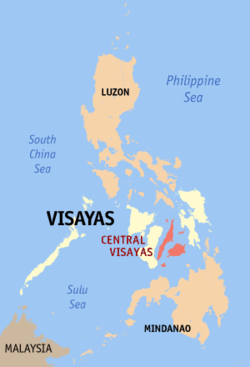 ↑ "Region VII (CENTRAL VISAYAS)". Census of Population (1995, 2000 and 2007): Total Population by Province, City and Municipality (Report). NSO. Archived from the original on 24 June 2011. ↑ "PSGC Interactive; List of Provinces". Philippine Statistics Authority. Archived from the original on 21 January 2013. Retrieved 4 April 2016. ↑ "Mactan Cebu International Airport - Cebu Pacific - Philippines". Mactan-cebuairport.com.ph. Retrieved 2013-04-22.